As consumers we are always looking for a deal. When the economy was better, many of us were not as diligent as we could have been and might not have been actively seeking coupons as a part of our everyday lives. Given the downturn and the hardships faced by many of us today, a growing number of folks have made couponing an integral part of stretching our budgets and making ends meet. On TLC, there is a show called Extreme Couponing where people have made this their full time job. They really take this seriously and some folks are saving hundreds and even thousands of dollars a month. Can you believe it? A televised show on extreme couponing as well as the supporting web-site http://tlc.howstuffworks.com/tv/extreme-couponing, tips, social communities and other advice on how to maximize our savings through the use of coupons. We are all very serious about saving money. The days of paying bust out retail are past. Regardless of how much money we make, our society has been transformed by the economic conditions, our lack of confidence in leadership and the ever changing global political landscape that impacts our daily lives at the gas pump, grocery store and overall cost of living. Coupons can be found everywhere. Coupons have been distributed through newspapers forever and can be found everyday in the printed paper as well as the traditional FSI‘s (free standing inserts) found in your Sunday newspaper from companies such as Valassis and NewsAmerica. Many of us receive a weekly package in our mail box from Valassis/Red Plum, Val-Pak and other companies that provide us with grocery and neighborhood coupons. When you check out at a grocery store, you are often presented with a receipt that is loaded with additional coupons from the retailer, the product manufacturer or local businesses. These coupons are provided to you by Catalina in many cases. Upon entering a grocery store we are bombarded with ways to access coupons or use new technologies to save money or be presented with deals on products we may or may not be interested in purchasing. We can join a loyalty club, swipe our card and get money off automatically without showing any coupons. We can use in-store scanners to be presented with coupon alternatives on products we have purchased or on related products somewhere else in the store. When we choose an item from the shelf, many times we are presented with an option to grab a coupon right there for that or other products. There are also many other kiosks that can be used to access in-store coupons. Digital coupons are also very prevalent. We can go up to any number of sites to download coupons. Some of these sites are www.coupons.com, www.savingstar.com, www.savings.com, www.couponcabin.com and many, many others. All of our favorite retailers provide coupons on their sites. We can access deals from companies like GroupOn and LivingSocial that provide smoking hot deals, provided the minimum number of participants are met. When we purchase on a web-site today, we are always presented with the option of entering a promotional code. If e do not have one, we can quickly search for one on-line, plug it in and get a discount on that purchase. This has become just a standard part of our purchase process on-line. 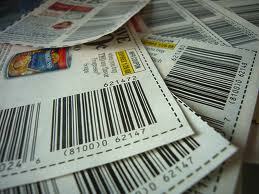 Most of the in-store retail coupons still require a paper coupon for scanning. The reason for this is that most scanners cannot yet effectively read the bar code from your smartphone. One retailer, Starbucks, has created an application that enables you to use your smartphone to pay for your coffee. In order to make this work in-store however, they needed to replace all of their scanner technology. It is a great app and demonstrates where we are going with mobile payments and convenience. Tomorrow I will give you a peak at what is happening with couponing on your smartphones. Let me know what you think about this blog by providing your feedback below. What coupon site are you selling? Are you familiar with Chopple? I am not selling any coupon sites. I am not familiar with the site you mention but will check it out. Can you tell me more? Hi! Fantastic web site. Found outlots from it! Thanks.